Flutter is a trove of delights located on North Mississippi Avenue in Portland, Oregon. Beneath the sparkly chandeliers lie beautifully arranged antique treasures, the latest art books, vinyl records, and sweetly packaged gifts including perfume, candles and locally made jewelry. It’s a lovely place to wander on a lazy afternoon; you can rifle through the trays of vibrant postcards, peruse the tarot decks or perhaps find your new favorite dress among the colorful racks of reworked and vintage clothes. 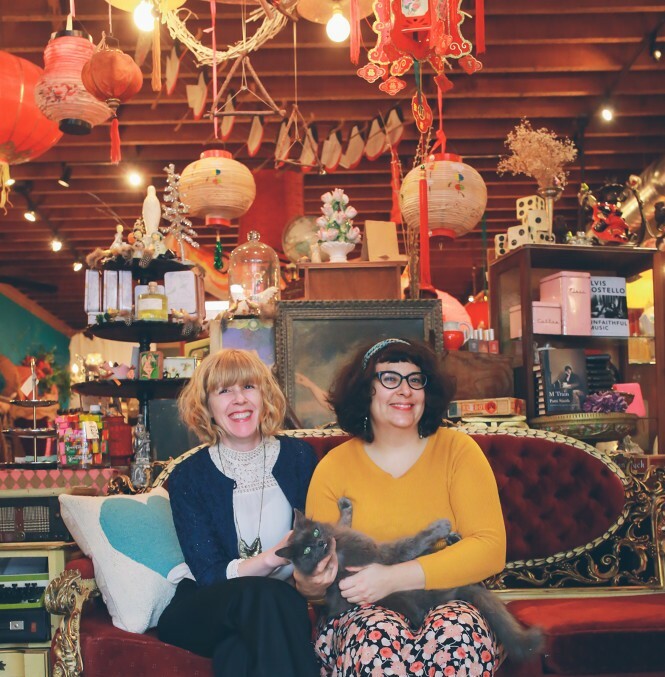 Owners Cristin Hinesley and Sara Kolp have been with Flutter since it opened in 2006, and took the reins in 2013. 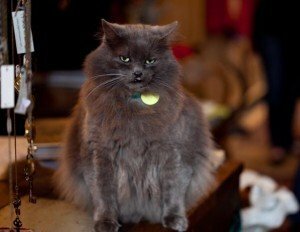 Their silent partner is an elderly gentleman cat named King, who can often be found lolling on the counter, holding court with his legion of adoring fans.